On March 18, 1938, Mexican President Lázaro Cárdenas signed an order that expropriated the assets of nearly all of the foreign oil companies operating in Mexico. He later created Petróleos Mexicanos (PEMEX), a state-owned firm that held a monopoly over the Mexican oil industry, and barred all foreign oil companies from operating in Mexico. The U.S. Government responded with a policy that backed efforts by American companies to obtain payment for their expropriated properties but supported Mexico’s right to expropriate foreign assets as long as prompt and effective compensation was provided. Prior to expropriation in 1938, the oil industry in Mexico had been dominated by the Mexican Eagle Company (a subsidiary of the Royal Dutch/Shell Company), which accounted for over 60% of Mexican oil production, and by American-owned oil firms including Jersey Standard and Standard Oil Company of California (SOCAL – now Chevron), which accounted for approximately 30% of total production. However, in Article 27 of the Constitution of 1917, the Mexican Government asserted ownership of the “subsoil,” including any natural resources discovered below ground. The possibility that the Mexican political leadership might exercise its rights complicated relations with the United States until the Calles-Morrow agreement of 1928, which temporarily alleviated tensions by reaffirming the rights of oil companies in the territories they had worked prior to 1917. Despite the political difficulties, Mexico became the world’s second largest producer of oil in the 1920s. Nevertheless, the foreign-owned oil companies were the object of much popular resentment. Since Mexico was an agrarian nation with only a tiny domestic market, these companies exported most of the oil they produced during the 1920s and very little of their profits remained Mexico. The situation was exacerbated during the 1930s, when the Mexican Government’s share of oil revenues declined and domestic oil production dropped due to the Great Depression and a glut in the global oil supply. These developments, combined with the fact that the large oil companies often paid their Mexican workers only half as much as other employees working in the same capacity, ultimately led to massive labor unrest. A strike by oil workers in 1937 ultimately led the Mexican Government to act. Initially, President Cárdenas attempted to mediate a settlement by having a government commission draw up a new labor agreement. 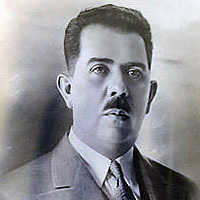 After the foreign companies defied both the commission and the Mexican Supreme Court, however, Cárdenas promulgated the expropriation decree on March 18, 1938. The expropriation act had international repercussions. The foreign-owned oil companies retaliated by instituting an embargo against Mexican oil. Mexican oil exports decreased by 50% and the Mexican Government’s primary customer for oil became Nazi Germany. Expropriation also led the British to take a very strong stand against Mexico's actions, which prompted the Cárdenas government to sever diplomatic relations. The U.S. reaction to Mexican expropriation of oil assets was mixed. On the one hand, it had no objection to expropriation as long as the Mexicans agreed to compensate the oil companies. Furthermore, U.S. President Franklin Roosevelt wanted to maintain good relations with the United States’ immediate neighbor, lest a hostile U.S. response to expropriation drive Mexico to align itself with the Axis Powers. On the other hand, some U.S. officials urged a tough response because they understood that that the United States would eventually become a major importer of oil and because the rights of U.S. economic interests were involved. As such, they believed that it was essential for American oil companies to retain direct access to the oil resources of the Western Hemisphere outside of the United States. 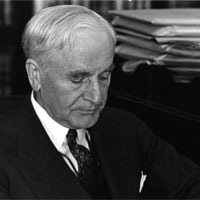 Secretary of State Cordell Hull initially supported a strong stance against Cárdenas’ actions. Although Cárdenas informed the U.S. Government that he intended to pay compensation, on March 26, Hull dispatched a note to the Mexicans announcing that the U.S. Government would suspend further purchases of silver from Mexico. The U.S. Ambassador in Mexico realized that such action might provoke a diplomatic rupture and asked the Mexicans to consider the note undelivered until a more moderate policy could be formulated in Washington. Further opposition from the Treasury Department eventually forced Hull and the State Department to back down. Although Hull’s attempts to directly challenge the Mexican Government fell out of favor, U.S. companies fought the expropriation in their own way. For over two years following expropriation, the oil companies made extravagant demands for compensation, which the Mexicans repeatedly rejected. The U.S. Government supported the oil companies until the Second World War began in Europe, at which point it pressured them to accept a settlement. Finally, on April 18, 1942, the U.S. and Mexican Governments signed the Cooke-Zevada agreement, whereby the Mexicans agreed to pay roughly $29 million in compensation to several American firms, including Jersey Standard and Socal. The British, however, held out until 1947, when they received $130 million. Efforts to secure the re-admission of the foreign oil companies in Mexico proved to be a failure, however. After Cárdenas left office in 1940, the Mexicans were willing to consider the possibility, but only on condition that Mexico retained ownership of the subsoil, and PEMEX its domestic monopoly. This proved unacceptable to both the U.S. Government and oil companies. Finally, in 1950, the U.S. Government abandoned its efforts to re-open the Mexican oil industry after several failed attempts to use government loans as leverage. By this time, American oil companies had begun losing interest in Mexico and preferred operating under the more favorable conditions found in the Middle East and Venezuela.